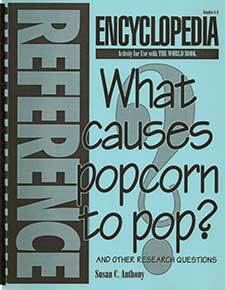 Kids discover the fun of encyclopedias with this easy-to-manage introductory classroom activity. One reproducible page of questions corresponds to each volume of The World Book. Answers are in the first few paragraphs of the appropriate article, so early success is virtually assured. Answers and hundreds of suggested topics for mini-reports are included.